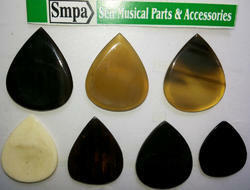 We are making picks for guitar in white and black color. If you are interested please let me know. We are Please to Introduce Ourselves as a Real Manufacturer and Exporters Of Guitars and Pianos Parts made by BONE & HORN. Due to the vast knowledge, our company is capable to present Guitar Colored Picks to our clients. 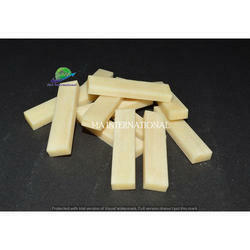 Our clientele can avail this product as per their necessities. Get this set of colorful guitar plectrums from RDX Music Store Musical and strum your guitar with perfect rhythm. Variety of Picks are now most popular picks and availabe now ebony, rosewood, palm, horn & bone picks.They have a more subdued attack then the ivory and the edges can easily modified to suit your playing style.Standard colored and smuth finishing.